When you enter the stage, you need 1 anchor. 1 anchor is charged ever 20 min. The maximum anchors is five. You can use gold for passing gateway or hiring heroes. The higher soldiers level, the more soldiers attack power. Remember all enemies move before an attack. Until you have a necessary score, you can't clear the stage. You can get full lives in Heroes Blast app at anytime. You can get this cheat by changing your phone's time setting. Close your Heroes Blast app by either restarting your phone or by killing it on your task manager. Open Heroes Blast app and you will get your full Lives. 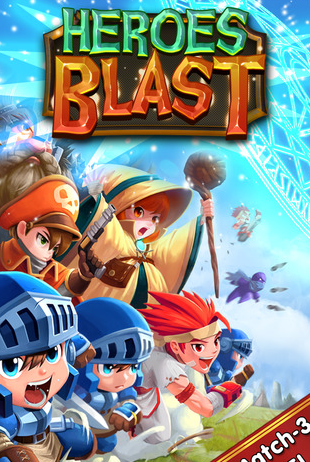 Open Heroes Blast app but do not play a single game. Open Heroes Blast app just to make sure that there is no problem.